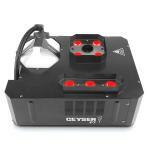 The Geyser P5 is a pyrotechnic-like effect without the use of any toxic chemicals, fire or heavy CO2 canisters. 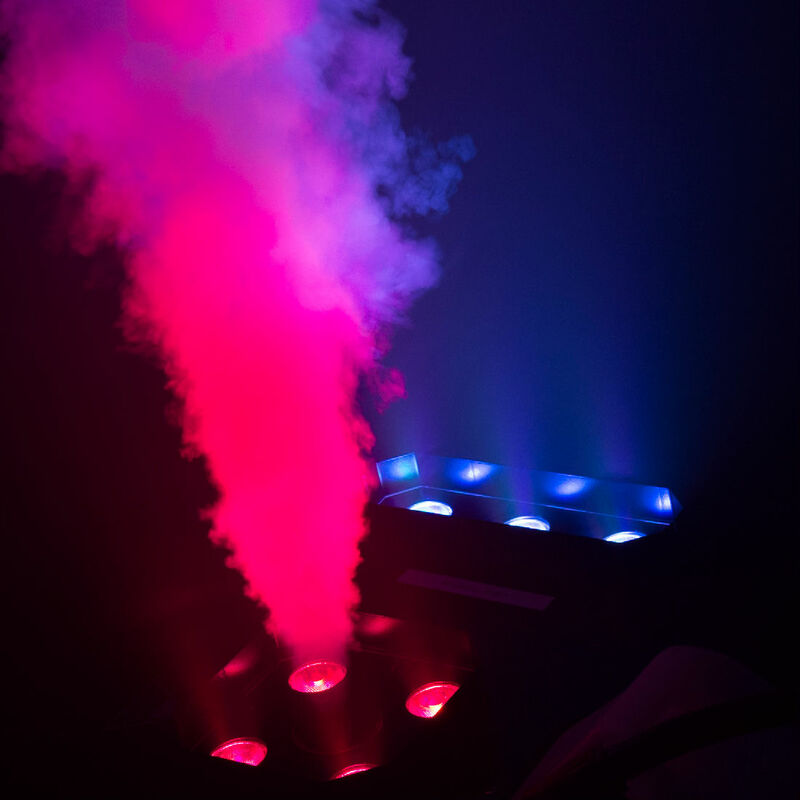 Basically a smaller version of the popular Geyser P7, its vertical blasts of fog are illuminated with 5 Penta-colored (RGBA+UV) LEDS for beautiful color mixing. 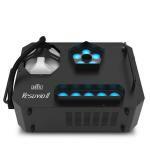 Control the unit from built-in DMX, included Geyser remote control, or manual control. 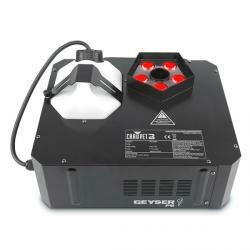 If you are in need of a more professional and tour-ready version of this machine, we highly recommend the Vesuvio RGBA.